David Biever was born and raised in Provost Alberta. Dave has always been a sports enthusiast and has played hockey since he was a youngster but he didn’t take up outriding until he was nineteen and had moved to Alder Flats. Dave was on the chuckwagon circuit for the next twenty-five years and amassed an outstanding record in his sport outriding for numerous prominent chuckwagon drivers. He has four Calgary Rangeland Derby wins, four Calgary Stampede Aggregate wins and was in the Sudden Death Final of the Calgary Stampede Rangeland Derby eleven times. Dave also won the Ponoka Stampede three times, has a World Professional Chuckwagon Association Tour Championship as well as more than thirty "Individual" wins. Additionally Dave won two prestigious championships at the Cheyenne Wyoming Frontier Days; in 1985 he won the Chuckwagon Championship as an outrider and in 1988 he won the Wild Horse Race. Dave started his career on the Northern Professional Chuckwagon Association circuit under the watchful eye of his future father-in-law, Herman Flad. At the Calgary Stampede Dave was able to connect with other drivers as well and his career was off and running. The first major win of Dave’s career came in 1992 when he was part of Ray Mitsuing’s Calgary Stampede Aggregate winner. Although a member of the NPCA, Dave proved he was very capable and found himself outriding for a number of the top drivers from the World Professional Chuckwagon Association (WPCA) at prominent shows such as the Ponoka Stampede and of the course the Calgary Stampede Rangeland Derby. In 1995, Dave had a major breakthrough when he won his first career Ponoka Stampede outriding for Kelly Sutherland and followed it up two weeks later with his first Calgary Stampede Rangeland Derby championship outriding for Ward Willard. In 1996 Dave followed Herman Flad and began competing on the WPCA Pro Tour full time and won his second consecutive Calgary Stampede Rangeland Derby Championship, this time outriding for Edgar Baptiste. In 1998 Dave helped Herman Flad win his first two events as a WPCA driver at the Grand Prairie Stampede and Strathmore Heritage Days. 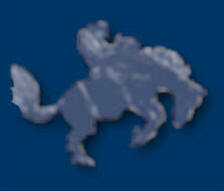 This was followed up at seasons end with a victory in the inaugural WPCA GMC Tour Championship. 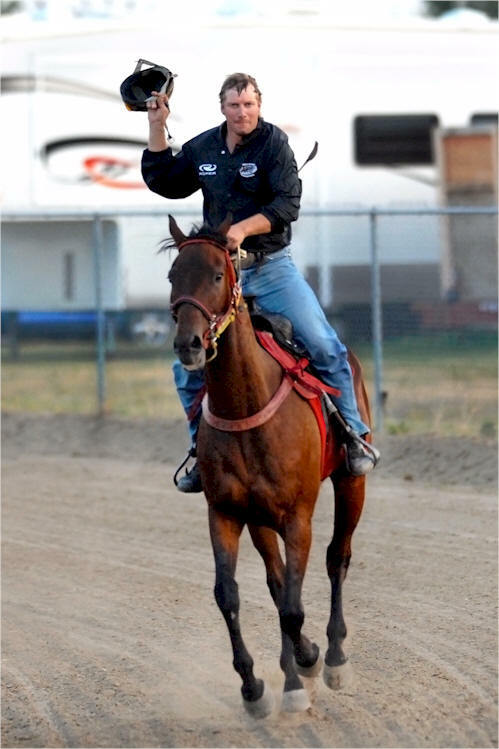 He outrode for future World Champion Tyler Helmig’s first career win at the Klondike Chuckwagon Derby in Edmonton in 1999 and in 2000 Dave captured his second career Ponoka Stampede Championship outriding for Neal Walgenbach. The next two seasons saw Dave ride a limited schedule but he returned to full time competition in 2003 helping Jess Willard win his first show championship at the season ending Red Deer Chuckwagon Championship. 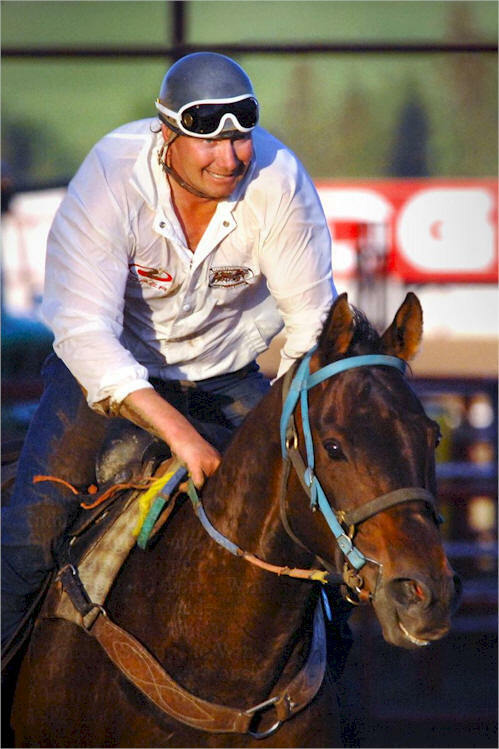 In 2005 Dave returned to the big stage as he was part of Luke Tournier’s outfit that swept both the Calgary Stampede Aggregate and the GMC Rangeland Derby Titles. In 2007 Dave again was part of Luke Tournier’s outfit that again swept both the Calgary Stampede Aggregate and GMC Rangeland Derby Titles and set an earnings record that still stands to this day. In 2008, Dave won the last major show championship of his career when he was part of Doug Irvine’s outfit that won the Ponoka Stampede. Dave retired after the Ponoka Stampede in 2009. Over his career, Dave not only won all of chuckwagon racing’s most cherished championships, but won them multiple times. 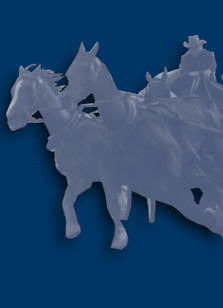 Dave also won numerous individual awards for outriding on the chuckwagon circuits across Western Canada. He won the top outrider awards in Dewberry, Edmonton, Wainwright, Coronation and Bonnyville in Alberta; Loon Lake, Meadow Lake, and East End in Saskatchewan and Dawson Creek in BC. These impressive achievements were accomplished with a large variety of drivers reinforcing the fact that Dave was a top rider and in demand from some of chuckwagon racing’s very best. In his home community, Dave gives back by volunteering at the Alder Flats and Buck Lake Rodeos. As well, Dave has been a positive influence to young members of the community by introducing them to the Winfield 4H Beef Program. Dave is also a willing volunteer in the Winfield Minor Hockey Program. Dave faced some challenging personal medical issues during his outriding career. His perseverance and courage during this difficult time have been an inspiration to many. Dave’s athletic career, his passion for his sport and the manner in which he competed make him a positive role model for the youth of our community. We recognize Dave’s long and illustrious outriding career by inducting him into the Wetaskiwin and County Sports Hall of Fame.